Two weeks ago we learned about the tragic death of Tawon Boyd, a 21 year old Black man from Baltimore. Tawon had been violently attacked by the police after his girlfriend called 911 to report that he was in crisis. He died after spending three days in the hospital on life support. On 9/28, police in El Cajon in San Diego county California tasered, shot and killed Alfred Olango after his sister called for assistance as Alfred was having a mental health crisis. And just last week, video was released of Sacramento police first attempting to run over, then shoot and kill Joseph Mann, a homeless man who was dealing with mental health challenges. Tawon, Alfred, and Joseph’s deaths come amidst uprisings across the country in outrage and sadness at the murders of Keith Lamont Scott in Charlotte and Terence Crutcher in Tulsa by cops. We hold the names of women, trans, and gender non-conforming people murdered by police – Rekia Boyd, Kayla Moore, and Sandra Bland – and more than we can name. And we know that the targeting of Black men by police is an enactment of state violence onto whole communities, including family members seeking help in a crisis and those left behind after killings and imprisonment. 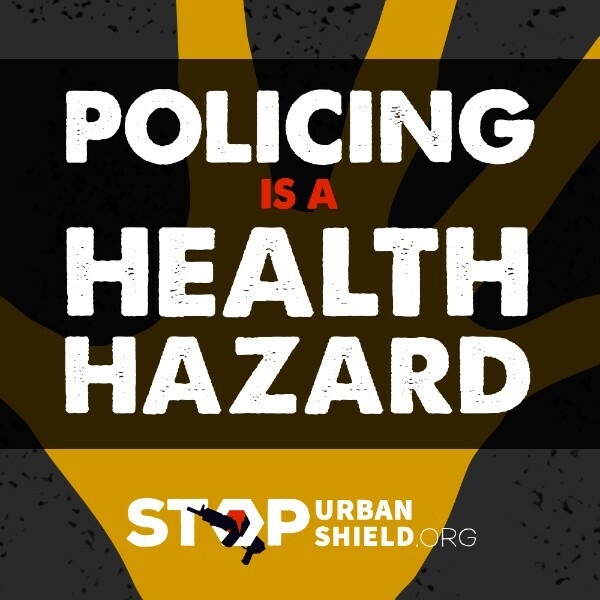 There is no amount of increased training – no amount of stricter regulations or more complex policies – that will make police officers more skilled at de-escalating these kinds of situations or at responding to health emergencies. Policing at its very core is structured to use force to maintain laws that disproportionately target poor Brown and Black people, indigenous people, youth and queer and trans people. Policing as it exists is not a broken system; it works exactly as it was meant to. Therefore we must keep imagining and fighting for a world without police. Critical Resistance has long advocated for the abolition of policing, and we want to highlight some of these common sense strategies that we have developed along with those of our allies. We hope that the resources here might be places where people can plug in, get involved, and use on the daily to build their capacity to stop relying on police as first responders in emergency situations or otherwise. Despite the daily harassment and murder by police and the ripping apart of families as people are sent to jail and prison, we hold onto the hope that this organizing instills in us: that we will win.What if we stopped trying to reform law enforcement agencies and worked to get rid of them altogether? What if we allowed ourselves the space to reimagine how we relate to each other, to our neighbors, to our fellow community members? What if we turned the logic of policing on its head and said that cops should be the last people we call in an emergency? In this moment of increased attention to police murders of Black men, so many people are joining together to develop strategies along this line of thinking because it is practical, common sense, and it saves lives. Tawon Boyd Presente! Joseph Mann Presente! Alfred Olango Presente! Terence Crutcher Presente! Keith Lamont Scott Presente! Some of the resources below are geographically specific, but can be useful as models that can be adapted in different places. Many counties have emergency numbers that go directly to fire and/or medical dispatchers. For instance, in Alameda County, to reduce the risk of police being dispatched, call the Alameda County Fire and Emergency Medical line 510-444-1616. The Oakland Power Projects help Oakland residents invest in practices, relationships, and resources that build community power and wellbeing. By identifying current harms, amplifying existing resources, and developing new practices that do not rely on policing solutions, the Oakland Power Projects remind us that we can make our families and neighborhoods safe and healthy without relying on the cops. Creative Interventions Toolkit: A Practical Guide to Stop Interpersonal Violence: A basic model for violence intervention, useful information, worksheets and stories based on the experiences of Creative Interventions during its development and pilot stages. The Story Telling and Organizing Project: Hear and read stories of creative and courageous everyday people who have taken action to stop interpersonal violence without using the cops or courts. INCITE Stop Law Enforcement Toolkit: This toolkit is intended as an resource tool for activists and organizers, and provides some examples of organizing tools and strategies. It includes fact sheets, ideas for organizing, and sample tools created by other organizations. People’s Community Medics: An organization created by Black women in East Oakland that is a community controlled alternative and/or addition to calling 911 for emergency medical care. They created it after the ambulances were just not showing up or cops were showing up first. CAHOOTS (Eugene, Oregon): “Crisis Assistance Helping Out On The Streets provides mobile crisis intervention within the city limits of Eugene, dispatched through the Eugene police-fire-ambulance communications center. Each team consists of a medic (either a nurse or an EMT) & a crisis worker. CAHOOTS provides immediate stabilization in case of urgent medical need or psychological crisis, assessment, information, referral, advocacy & (in some cases) transportation to the next step in treatment.